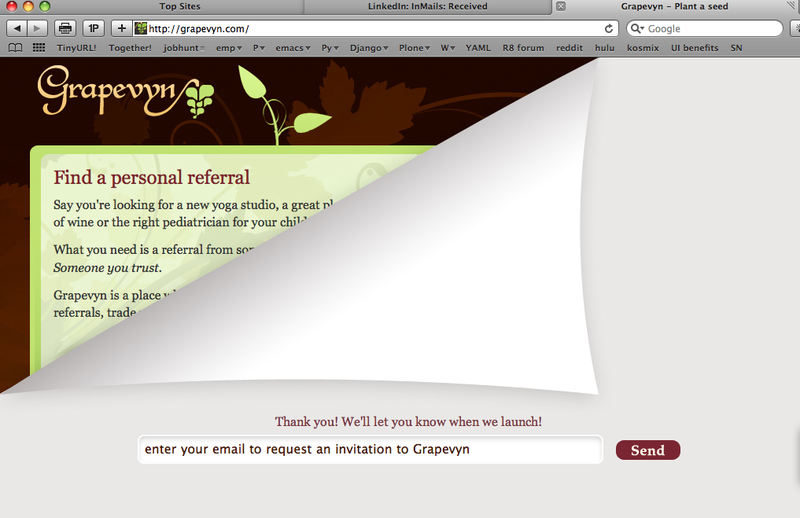 I’m not trying to find clever landing pages of stealth-mode start-ups, but Grapevyn‘s got a good one. Dang Nguyen, a friend and colleague, handed in his resignation to DocuSign, and in a couple of weeks will start a new job as the software configuration manager for Kiha Software. 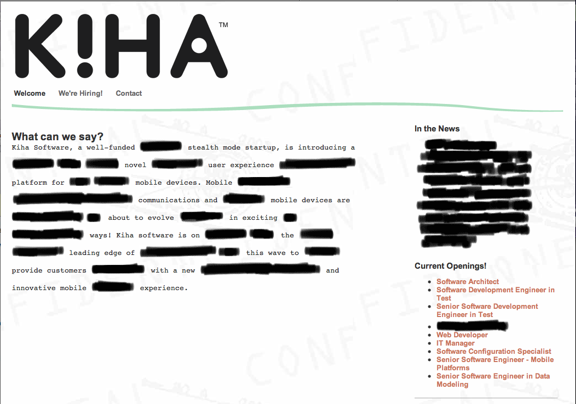 Dang couldn’t say what they’re building, because Kiha’s still in stealth-mode. There’s been only a trickle of info published about them, so I surfed to their site, thinking I’d find a few tidbits, maybe the founders’ names, or some hints as to what they’re doing, etc. Well I didn’t get any of that, but I did get a great laugh for the day. They’ve got the most creative stealth-mode site I’ve seen in a long time! If they’re half as creative with the rest of their business as they are with their site, they’ll be a great place to work at. Kiha, good luck in whatever it is you’re doing! And congratulations on landing Dang.